Home » News » Melodic Metal Heroes Coldspell Return With New Album & New Single! Sweden’s ColdSpell are finally back! For the fourth time, the band from the land of ice and snow are bringing the world 12 songs that will melt a rocking heart. Titled A New World Arise the band has captured emotions of a world going crazy and finding peace in the wilderness in their own inimitable style. The first single/video “Call of the Wild” was released on July 28th and showcases Coldspell’s distinct knack for combining shredding riffs with soaring vocals and huge choruses; pure epic Scandinavian metal at its absolute finest! A New World Arise is set for release on 22nd september 2017 and follows 2009’s Infinite Stargaze, 2011’s Out From The Cold and their finest moment (to date! ), 2013’s Frozen Paradise. With Frozen Paradise fully realising Coldspell’s mainstream potential, it’ll take something pretty damn special to top it! 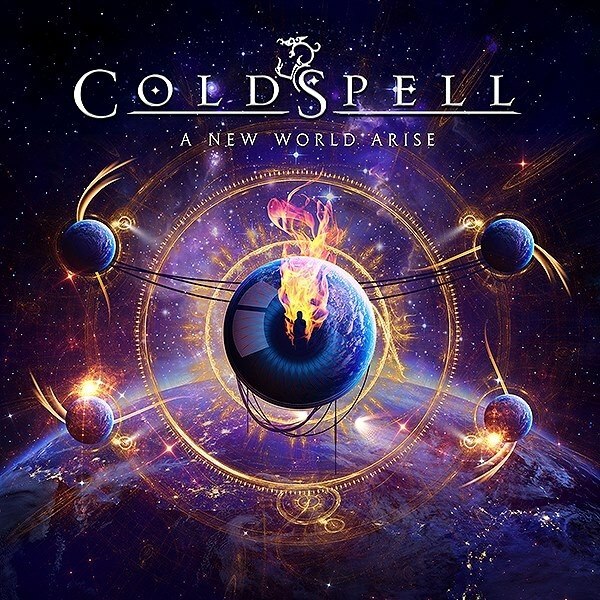 However, if “Call Of The Wild” is any indication of the melodic metal heights Coldspell are currently scaling, then A New World Arise is sure to rival, if not surpass, it. It’s time for the world to stand up and recognise that in Coldspell, we have a band who can continue the legacy laid down by the likes of Scorpions, Dokken, Deep Purple and Dream Theatre at their most streamlined! We like the way this sounds!